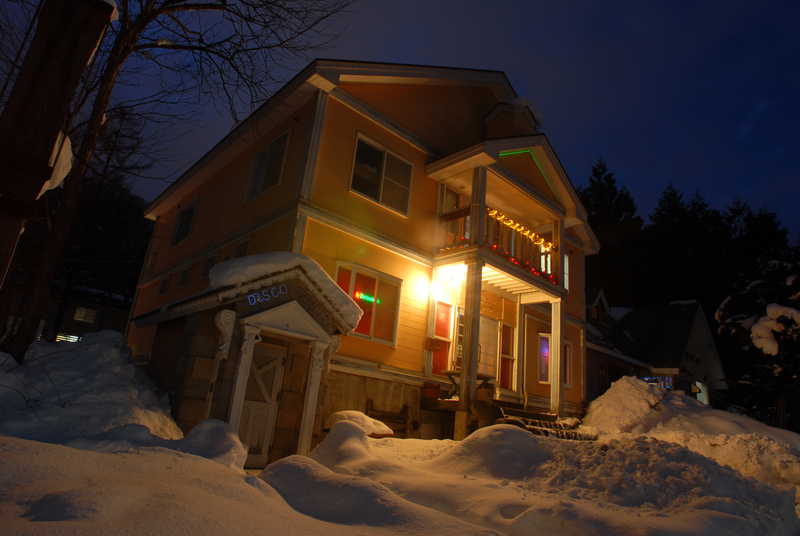 Tracks Bar is just a short walk from Hakuba Goryu and has operated at the bottom of the valley for over ten years. We’ve entertained a lot of people since we first opened our doors, giving guests a place to enjoy great drinks, food, conversation, and music after a day of skiing and snowboarding. A number of DJs and musicians from around the country and around the world have played here, making this a great venue for you and your friends to party the nights away. Tracks Bar is open even during the height of the holiday seasons. Christmas, Thanksgiving, Waitaing Day, and Australia Day are perfect opportunities to hit the slopes and unwind with us afterwards. Hungry? Our BBQ, Lost Dinner, New Zealand Hange, Sushi, Nabe and other foods are quite renowned. We’re open for the entire ski season in Hakuba, which falls between December and March, but we are open for special events all year ’round. Be sure to stop by and enjoy yourself. Tracks Bar offers catering services in the spring, summer, and autumn seasons, too. Our Homemade Hamburger is very popular at events and has even attracted a number of fans. Check out our schedule and attend one of our many events!